For Tenor Sax. Composed by Various. Instrumental Play-Along. Play Along. Softcover with CD. 16 pages. Published by Hal Leonard (HL.842305). ISBN 1423437586. 9x12 inches. Book/CD Packs. 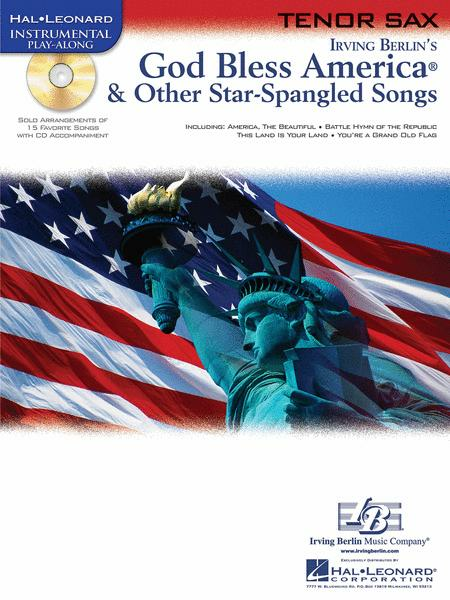 15 patriotic favorites arranged for instrumentalists and featuring a CD with awesome accompaniments. Songs include: America, the Beautiful • Battle Hymn of the Republic • The Caissons Go Rolling Along • God Bless America • God Bless the U.S.A. • My Country, 'Tis of Thee (America) • The Star Spangled Banner • This Land Is Your Land • and more.